Basically, Jan and I are making the argument that redundancy or sharding/partitioning doesn’t really add up to a truly distributed system. Well, not in the sense of what I think of when I think of distributed. Going back to my old friend, the CAP Theorem, I think we can see why. Redundancy could be argued to be the A in CAP; always available. I’d even argue that partitioning, in the sense that most people think of (e.g. partitioning 300m users across 100 MySQL servers), is the A in CAP. The P for partitioning in CAP is that a system is highly tolerant to network partitioning. Because of the master/slave setup of Katta, it really only implements the A in CAP. Of course, CAP says that you can only have two in any distributed system. I’d make the argument that no system is truly distributed unless it fully implements two of the three properties in CAP. I’d further argue that if you had a highly available (A), highly consistent system (C) even it wouldn’t be distributed (lacking the ability to be highly tolerant to network partitioning). The problem that I have with Katta’s definition of distributed is that I can’t truly distribute Katta in the raw sense of the word. For instance, I can’t spread Katta across three data centers and not worry about a data center going down. If I lose access to the master then Katta is worthless to me. There can be no master (hub). There must be multiple copies of data spread across multiple nodes in multiple data centers. Software and systems must be tolerant of data center failures. My point is, I think the word “distributed” is applied too freely to systems that are, more appropriately, called “redundant” or “fault tolerant”. UPDATE: Seems I confused some people about my master/slave argument. You can build distributed systems that have master/slave pieces in the puzzle. Large distributed systems are rarely one cohesive piece of software, rather they tend to be a series of systems glued together. What I am saying is that a simple master/slave system is not distributed. Through a series of bolts, glue, add-ons, and duct tape you can make a master/slave system sufficiently distributed, but don’t confuse the totality of that system with the base master/slave system. This specifically about new features in the 5.1 release. As much as I like Australia I think it’s retarded to be talking about that at a MySQL conference, though it is funny I suppose. They now support variable sized rows, which reduces memory usage. This equates to more rows per gigabyte. Add/Update Index has been optimized over 5.0. Before it copied the entire table, added the new index and then moved it back over the old table. This all happened over the wire so you can imagine how long that took. This optimization speeds things up about four times. 5.1 now allows you to replicate across clusters. Used for geographical redundancy, split the processing load (why not add more nodes to the cluster? ), etc. You have to use the row-based replication to enable this feature. Failover of replication channels is manual. They’re adding support for data on disk in 5.1 and indexes on disk in the future. This absolutely amazes me. The moral of the story at MySQL UC has been that clustering is a nightmare to set up, maintain and use. However, storing data on disk is a step in the right direction. The solution from Continuent seems to be infinitely more elegant than both clustering and replication. MySQL 5.0 supports auto-increment variables for bi-directional replication to avoid auto-increment collisions. MySQL 5.0 replicates character sets and time zones. 5.0 now replicates stored procedures, triggers and views. Dyanmic switching of binary log format between ROW, STATEMENT and MIXED. 5.1 allows for cluster replication. Replication method cannot be configured per table, but since it’s dynamic you can change it from the client before a transaction, etc. With auto_increment_offset and auto_increment_increment you can change starting points and how many you step between. Works with most table types. Works with InnoDB and MyISAM. This is specifically for multi-master setups. RBR allows clusters to replicate and also allows the server to replicate non-deterministic statements such as LOAD_FILE(). That being said you can’t have different table definitions on the slave as you can with SBR. Wow, nothing super impressive here that makes me excited about new features in MySQL’s 5.0/5.1 replication. Their answer to the possible auto_increment collisions seems a bit simplistic and short-sighted, but then again I’m not a maintainer for MySQL’s replication code. What annoys me greatly is MySQL’s refusal to simply add features to storage engines in favor of simply adding new storage engines. MyISAM doesn’t support transactions or foreign key constraints? Use InnoDB. InnoDB doesn’t support FULLTEXT? Use MyISAM. You need synchronous replication of data? Use NDB, but you need to denormalize and reduce your use of JOIN’s. It’s enough to make me switch to PostgreSQL. Today I thought I’d check out session by the CTO of Continuent about their clustering solution. Before heading into the session we checked out Continuent’s booth in the exhibit hall. It certainly sounds like a great product, however the $5,000 per CPU licensing seems a bit Oracle’ish to me. A share nothing architecture. 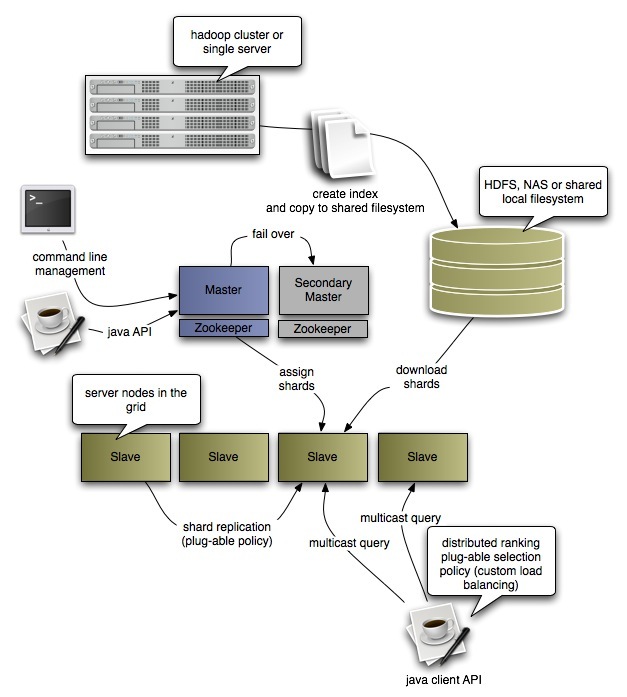 Split up into two layers; the controllers and the actual database nodes. Supports load balancing and heterogeneous databases (ie. MySQL and SQL Server sharing the same cluster). 100% Java and based on Sequoia. They might have an open source version. Will need to check this out. Fully transparent (including failover) to the application. The controllers act as a proxy to the database. To the applications they appear as the actual database. Below these controllers is where the databases actually sit. You need to compile/load your their specific driver, which I think would require a near PEAR DB driver. Requests come in where it determines what type of request it is (read vs. write). It then broadcasts writes to all controllers. All requests are executed in identical order. From there it’s sent to the scheduler, which makes sure the underlying databases remain in identical states. These requests can be sent in parrallel to each database server. The request controller then aggregates the responses from the databases. If there was an error across all of the systems then it’s a bad query of some sort, if only a single node respondes with an error then that systems is dropped. This can be configured to return a success message once one of the underlying nodes responds with a success. Reads are simply load balanced across the underlying nodes to the node with the least number of requests (sounds like LVS’s weighted least connection algorithm). Works with MyISAM, InnoDB and heap table types. Once you have a dump with a starting date you can apply the dump to the new node and then the cluster controllers apply the logs until it’s up to date. The open source solution only supports ANSI SQL, doesn’t come with their own group talk protocol (so the clusters can communicate with each other) and doesn’t come with the database-specific dump and load. The cluster controllers keep track of the position in the overall sequence of each underlying node and sends reads only to those nodes that are up-to-date with the current position. The largest cluster they have are four nodes. Has been tested with as many as 64 nodes and supports tiering. Failover between cluster controllers happens in the driver level. Stored procedures where a “challenge”. Their approach allows you to tell their controllers what is inside of the stored procedure (what tables it changes, etc.) so the controller knows how to handle each procedure. After sitting in on the MySQL Clustering tutorial I can honestly say this approach is infinitely better. It supports disk write, InnoDB, MyISAM and, on top of that, allows you to tier the clusters. The only downside I see is that it’s written in Java, but these days I’m not sure if that’s really a downside. Today is the 1st day of MySQL UC and I’m sitting in on the clustering tutorial, which promises to be three hours of information on MySQL’s clustering feature. I’m sure you’re thrilled that I’m, ahem, live blogging this. In reality, this is just so I have a central place for my notes. Broken up into three parts. The MySQL servers sit separate from the NDB Storage Engine, which are storage nodes (NDB nodes). The third part is called a management server. The management server, oddly enough, isn’t required once the cluster is up and running unless you want to add another storage node. Memory based storage engine. If you’re not using 5.1+ then you must have enough RAM in each storage node to store the data set. This means that if you have four machines with 4GB of RAM each you can store 8GB of data (16GB of total storage divided by two for two copies of the data set). Storage nodes are static and pre-allocate resources on startup. Supports transactions and row level locking. Should be noted this is a storage engine so you can’t create MyISAM or InnoDB tables inside of a cluster. Uses fixed sized records. This means if you have a varchar(255) and put a single byte into it that field is still using 255 bytes. No foreign key constraint support. Replication across nodes is syncronous across nodes. I assume this means that an INSERT happens once all of the nodes have completed the INSERT. This is different than regular replication which is asyncronous and introduces race conditions. Tables are divided into fragments (one fragment for each storage node). Each storage node is responsible for each fragment. Each fragment also has a secondary fragment, which is a copy of another node’s primary fragment. This data distribution happens automatically. NDB takes your primary key, creates a hash and then converts that to a fragment. So you’ll have various rows on each different storage node. A node group is a set of nodes that share the same fragment information. If you lose an entire node group you’ve lost half of the table and the cluster will not continue to operate. However, if one node in a node group fails there will still be enough data to keep the cluster up and running. If a node fails and it’s secondary counterpart takes over it will, essentially, have to perform the job of two nodes. Until a node has fully recovered it will not rejoin the cluster. Backups are hot and non-locking. Each node writes its own set of backup files. No support for incremental backups. Because it’s memory based you could lose data on a system crash (as you might have transactions sitting in RAM when a crash occurs). The COMMIT command does not write changes to disk meaning that you could have data sitting in memory that’s not on disk when a node crashes. This means the odd truth is that MySQL Clusters support syncronous replication, but are not atomic. NDB nodes will checkpoint data to disk (data + logs), which are used for system recovery. They write two logs, the UNDO and REDO logs. They recommend using TRUNCATE to delete all rows from a table. Modification operations are distributed to both the primary and secondary fragments (obviously). NDB will run on 64-bit machines. They recommend Dual CPU 64-bit machines. NDB is threaded. Application nodes (MySQL servers) can be whatever. SCI offers 30-100% better performance over gigabit. Overall, I’m underwhelmed by MySQL Clustering. You’re limited in storage with the RAM and you can’t optimize your schemas due to fixed field sizes. And any RDBMS “solution” that recommends you denormalize puts me off. That being said the actual technology is pretty interesting and I suspect that in a few years we’ll see the clustering features in MySQL come into their own. As of now I suspect few people would be able to justify the sacrifices for the gains clustering allows.